Well technically this was for a family dinner get together yesterday but I like it a lot so I'm keeping it as my Vday mani as well! 2 coats of Barielle Coalest Day of the Year, China Glaze Millennium for the stamp on plate m12 from The Born Pretty Store and finally Lippmann Some Enchanted Evening to accent the flowers. 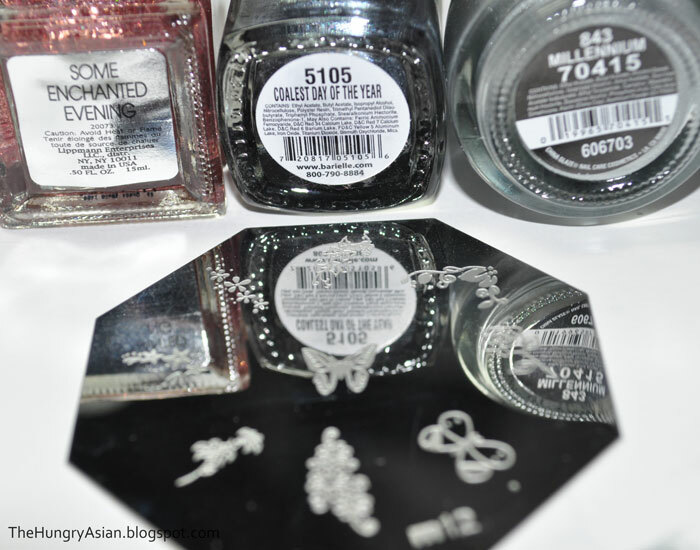 I purchased the China Glaze, the rest I have previously reviewed on my blog.